Minister of Innovation, Science, and Economic Development Navdeep Bains announced on Thursday morning that five winners will receive between $150 million and $250 million each. 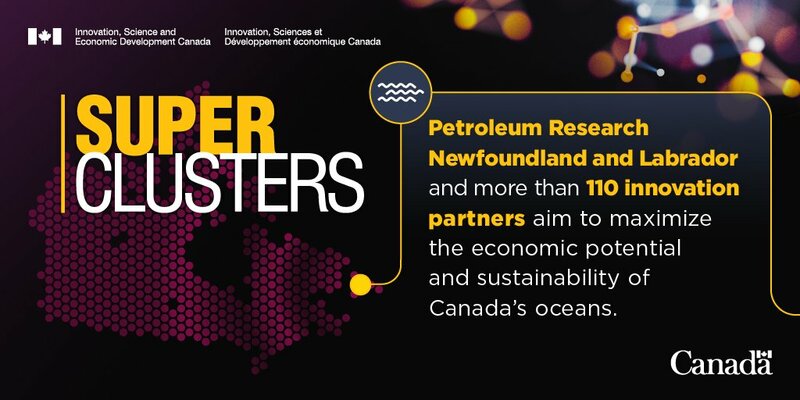 Participants: Petroleum Rsearch Newfoundland & Labrador, Emera Inc., Cooke Aquaculture, CFFI Ventures (Clearwater), PAL Aerospace, Cuna del Mar, Scotia Seafood Producers, SmartICE, Dalhousie University, Memorial Univerisity of Newfoundland. Participants: Optel, CGI, Agropur, Aldo, Air Canada, CN, Coveo, NEXT Canada, IVADO, University of Waterloo. Participants: AGT Food and Ingredients Inc., Maple Leaf Foods Inc., ISM Canada Inc., Dow DuPont Agriculture, Farmers Edge Inc., Botaneco Inc., Dot Technology Corp and SeedMaster Mfg., Enns Brothers, Sightline INnovation Inc., University of Saskatchewan, Roquette Agri-Food Canada, Conexus Credit Union, POS Bio-Sciences. Participants: Linamar, The Woodbridge Group, Autodesk, Clearpath Robotics, Myant, Voestalpine High Performance Metals, Thalmic Labs, University of Waterloo, Communitech, MaRS Discovery District. Participants: Telus, Microsoft, Avcorp, Shoppers Drug Mart, Victory Square Technologies, D-Wave, Appnovation, UrtheCast, Research Universities’ Council of B.C., University Health Network. Plus more than 250 more. 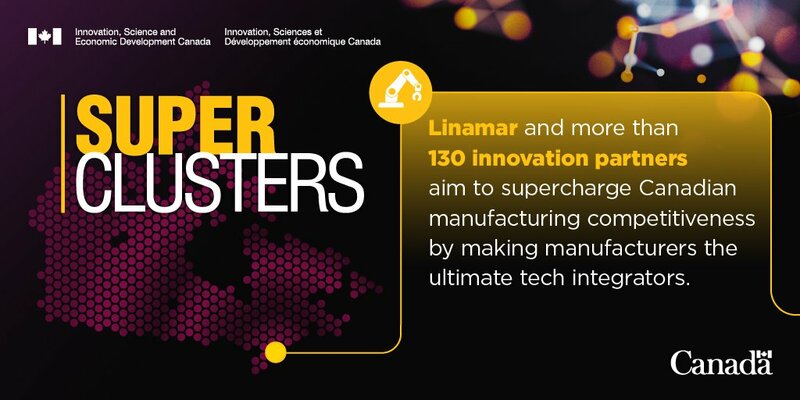 One big winner in the superclusters announcement was Microsoft Canada. While only named by ISED as being a main driver in the digital technology supercluster, Microsoft is also involved in the protein, advanced manufacturing, and the ocean superclusters as well, says Jason Hermitage, vice-president of public sector at Microsoft Canada. As for the digital supercluster, Hermitage says that augmented reality and virtual reality technologies will be a major focus for Microsoft. Other projects outlined in the plans include a secure health and genomic platform that will create advanced, personalized treatments for cancer patients. An “Earth Data Store” will facilitate and improve data collection and visualization for the resources sector, among other stakeholders. A digital learning factory project will develop virtual environments for use in design, rapid experimentation, and testing of cost-saving approaches in modern manufacturing. 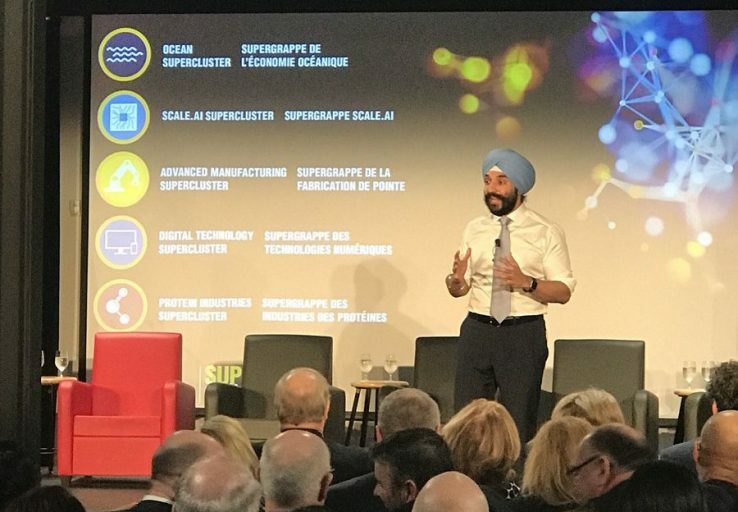 Ending the nine-month process that saw Bains take a cross-country tour to announce bids that made the short list, the Innovation Supercluster Initiative was originally announced in the most recent federal budget. During that period, Bains explained what constituted a supercluster even while calling on groups to submit letters of intent. 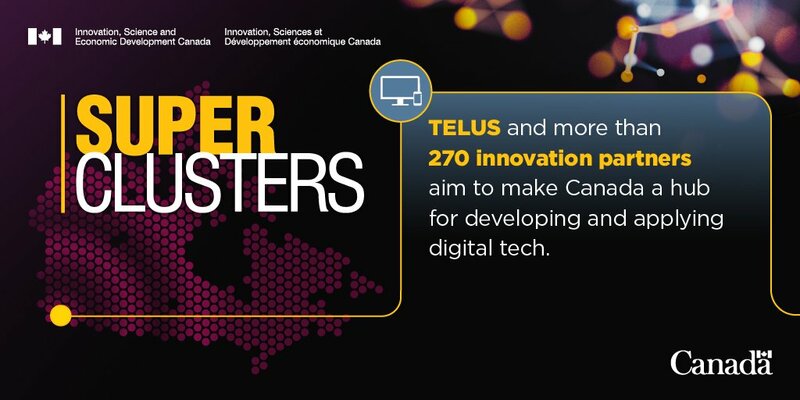 Based in Quebec, the Mobility Systems and Technologies for the 21st Century supercluster hopes to leverage digital technologies to advance Canadian industrial leadership in next-gen mobility products and services. It plans to focus on innovation and commercialization in aerospace, ground transportation, and advanced manufacturing. The group is led by CAE Inc., plus over 170 firms like Pratt & Whitney Canada Corp., UrtheCast Corp., Marinvent Corp., and Polytechnique Montreal. An Ontario-based Clean, Low-Energy, Engaged, and Remediated supercluster that wants to transform Canada’s mining sector and position the country as a leader in clean resources, clean tech, and responsible sourcing of metals. It also plans to deal with global challenges like energy intensity, water use, and environmental footprints. The Canada Mining Innovation Council has taken the lead, along with over 90 firms such as Agnico Eagle Mines Ltd., Barrick Gold Corp., Teck Resources Ltd., Motion Metrics, and the University of British Columbia. 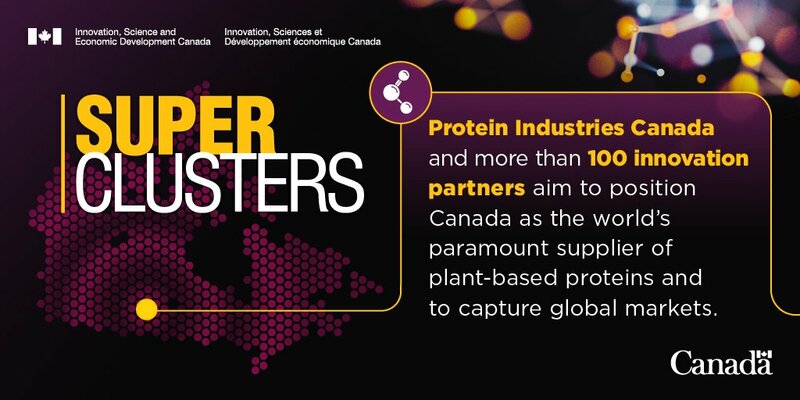 Another agriculture group, the Smart Agri-Food supercluster wants to make Canada a preferred global supplier of sustainable high-quality safe food by creating information technologies platforms to add informatics, connectivity, and traceability for crop, livestock, and agri-food processing centres. Spearheaded by Calgary-based Agrium Inc., Telus, Farmers Edge, and Olds College. The Smart, Sustainable, and Resilient Infrastructure consortium wants to transform Canada’s built environment to make it more resilient, sustainable, productive, and cost-effective. It also pledges to revolutionize the design, construction, and operations of infrastructure while also fostering the use of advanced digital communications, cutting edge tools, and interconnected applications and services. Stantec Consulting Ltd. is leading the charge, along with more than 25 companies like PCL Construction Management Inc., Ledcor Group of Companies, Barry Johns Architecture Ltd., Athabasca University, and the Southern Alberta Institute of Technology. IT World Canada requested a phone interview with Stantec, and received an email response from Keith Shillington, senior vice-president of Stantec. The group that organized to make a bid for funding will discuss other ways it might collaborate in the future, he adds. 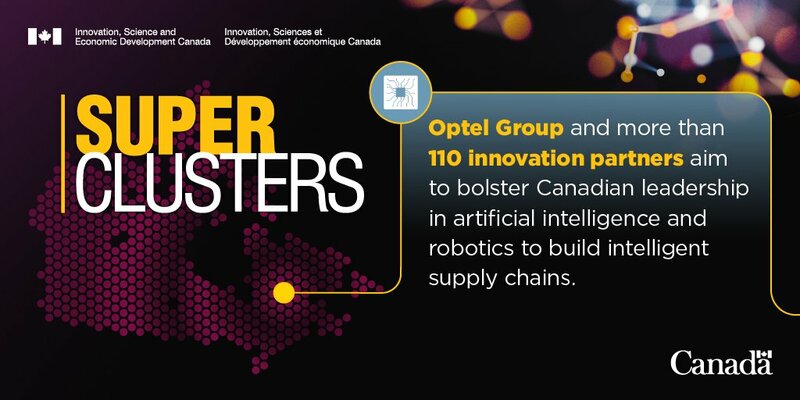 Included in groups that did not make the shortlist are the three information and communications technology (ICT) bids previously covered by IT World Canada, including the blockchain supercluster, microelectronics bid, and digital identity application.